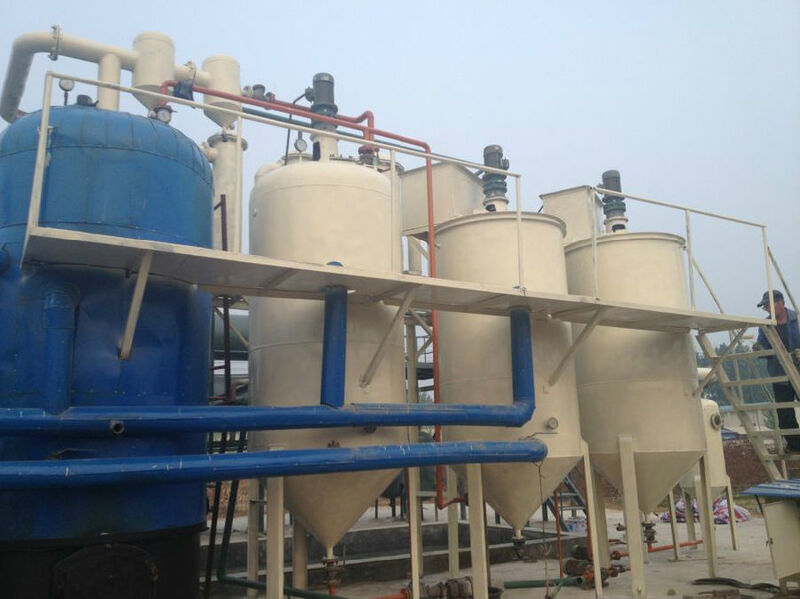 Oil distillation machine can convert tire oil, plastic oil, and waste engine oil to diesel. In some country, oil distillation machine also named waste oil refining machine, distillation equipment, it just name different, but have a same function. 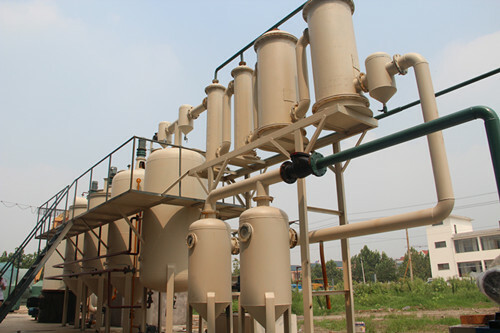 We have 5t-50t per day oil distillation machine, can meet different customer’s requirements. Here we mainly introduce our tire oil, plastic oil to diesel with oil distillation machine, taking the 5D/T oil distillation machine as example. DOING 5T/D tire oil distillation machine is mainly composed of 4 reactors, cooling system, vacuum system, filtering system and de-dusting system. Our oil distillation machine can refine waste tire oil into diesel very efficiently, and at the moment it is the most energy-saving refinery equipment in the market. 1. After 2 years’ research and development, our distillation technology is already mature. 2. Can refine 3 kinds of oil--waste tire oil, plastic oil and waste motor oil. 3. The final oil can be directly used for diesel oil generator, trucks and vans, etc. 4. Indirect heating by boiler heating system can greatly increase the service life of our waste tire oil distillation machine. Diesel from oil distillation machine can be used fortractors, trucks, ships and diesel oil generators etc. below is the differentwaste oil with its oil rate. If you wanna to get more details about Tire oil & plastic oil to diesel with oil distillation machine you can send E-mail to market@doinggroup.com. You can consult our professional engineer and specialized sales team with leave a message in below form.We will contact with you ASAP.You also can visit our factory in Henan,China.Get Detailed address.